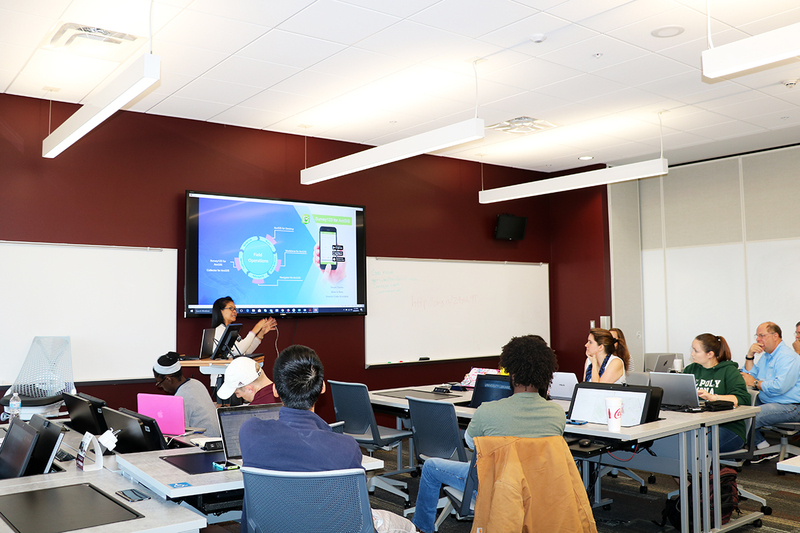 Two GIS professionals from Esri spent April 23-24 teaching Texas A&M students. Texas A&M University students and staff had the unique opportunity to learn from two Esri geospatial technology experts during two days of training sessions April 23-24 that were free for all attendees. In addition to students, staff from campus utilities and transportation departments also attended the workshops, Laddusaw said. The two-day training was supported by Texas A&M’s Esri Development Center, Department of Geography, University Libraries, and College of Geosciences. 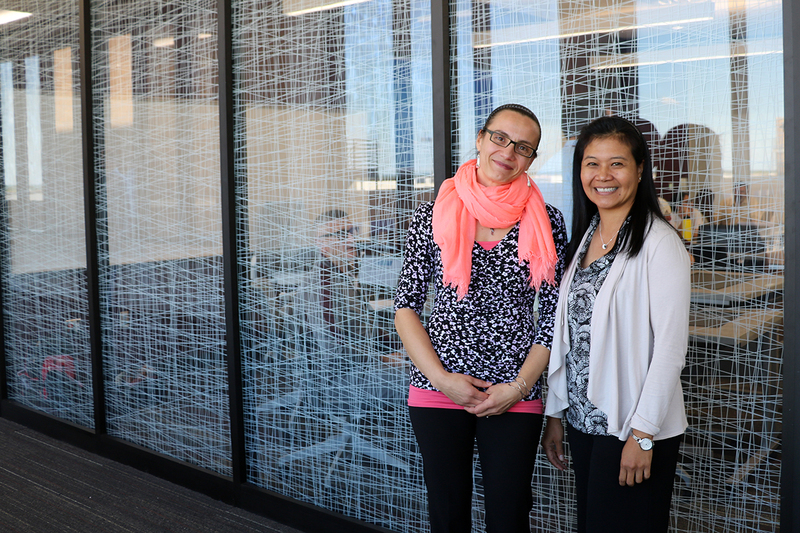 Geri Miller and Canserina Kurnia, both solutions engineers in Esri’s education outreach division, taught the trainings. Any company that does any work related to location data needs geospatial professionals, Miller said, and Texas A&M GIS students are equipped to fill those roles. “In utilities, all levels of government, business analytics, transportation planning, landscape architecture city planning — we’re seeing growth in these jobs across all sectors,” she said. “Data science is also a growing field for GIS careers,” Kurnia said. Alanna Jajeh ’18, a senior GIS-T Earth Systems Studies major, attended the training. She is also a GIS student worker in Texas A&M Utilities and Energy Services, where she uses Esri software to map utilities on campus. She was excited to learn additional skills in Arc-GIS Collector that she could use in her current job, as well as in future opportunities. She said that after initially planning to study business at Texas A&M, she became a GIS student and found a passion for geospatial technology. “I’ve found such an awesome connection to GIS and everything that it can do, and all the ways that you can integrate GIS into businesses,” she said. She plans to graduate in May 2019 and then begin graduate school.